9526 W PEDERNALES RIVER DR. 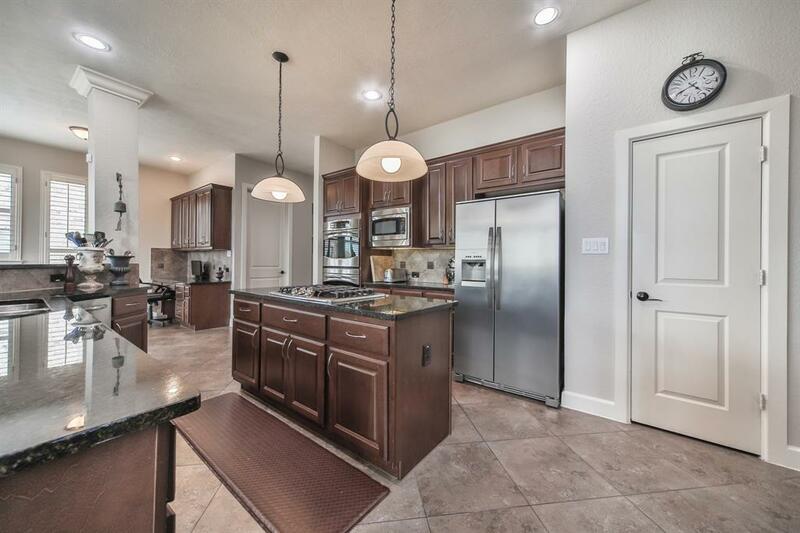 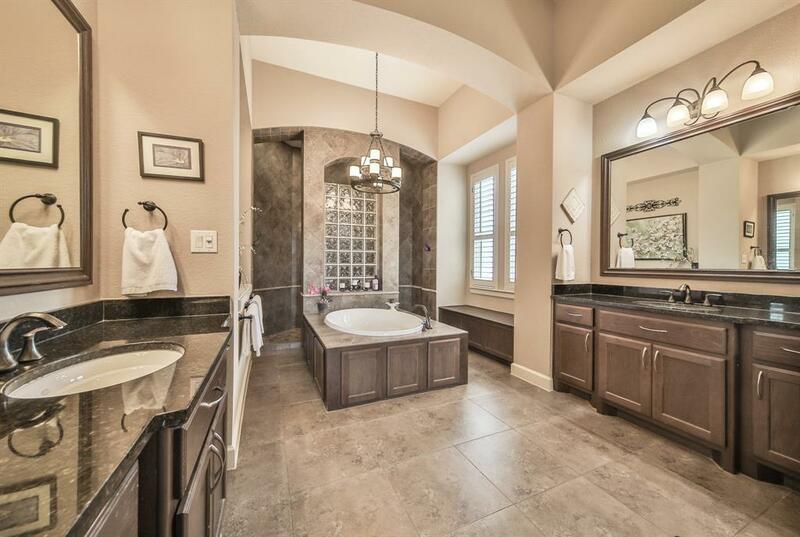 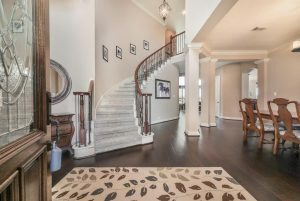 Guests will be in awe of this home’s beauty and elegance from the second they step through the door. 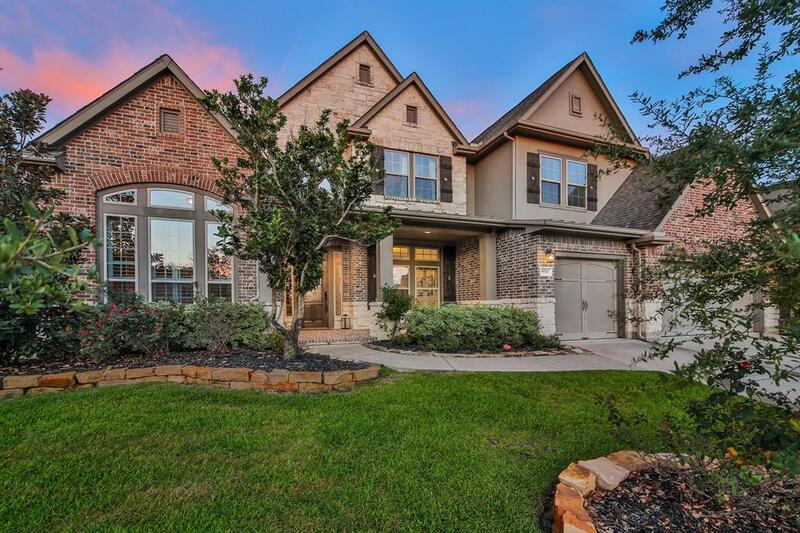 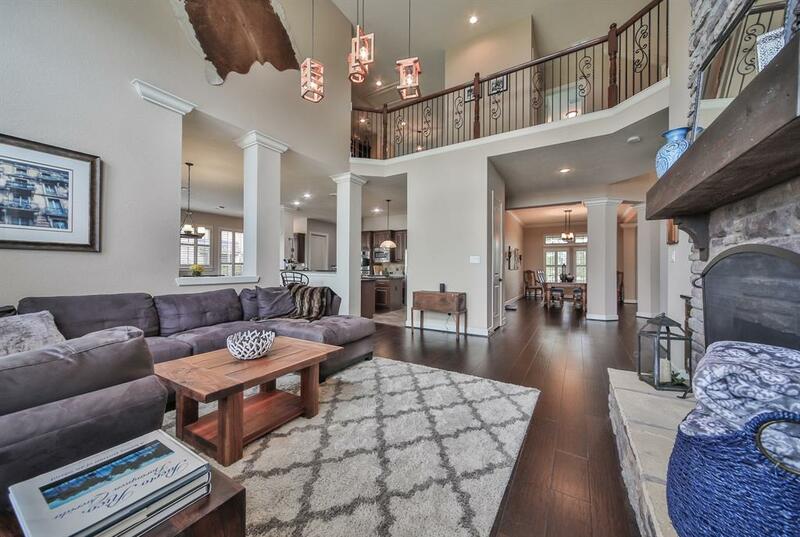 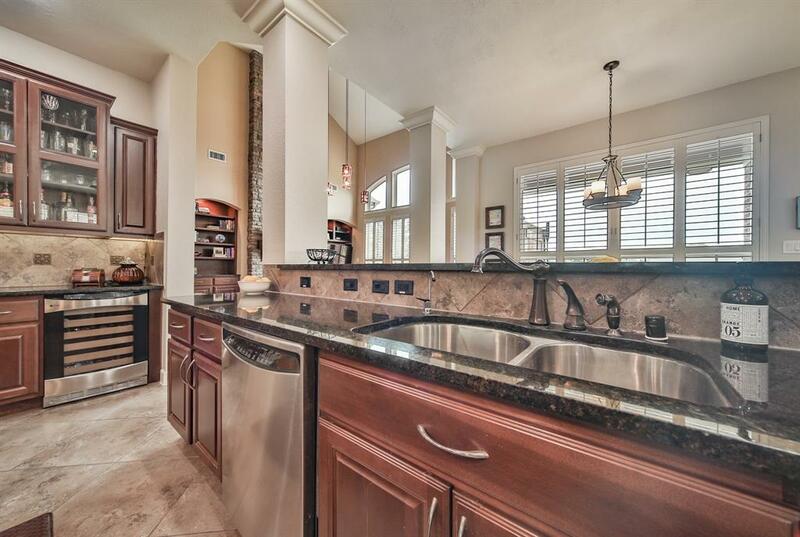 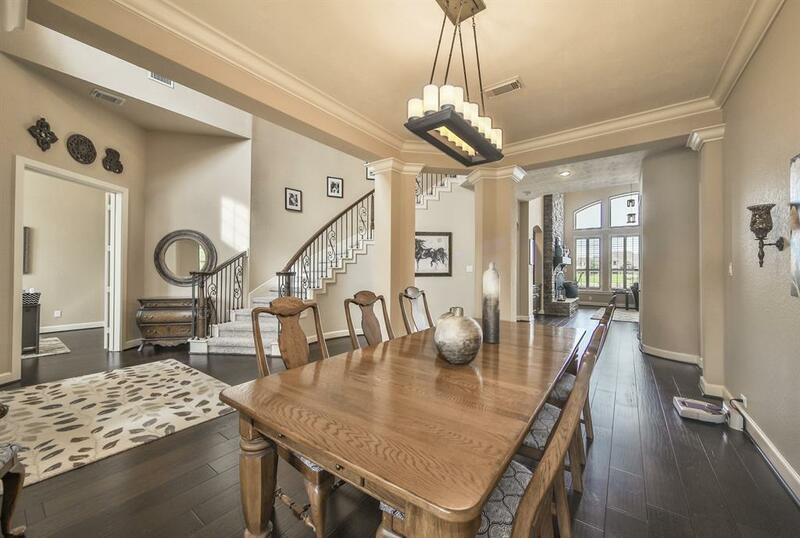 The breathtaking 2-story entry boasts a grand staircase with wrought iron spindles. 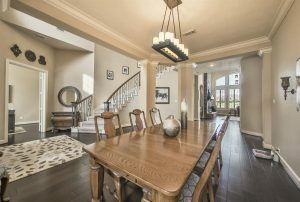 To the right of the entry is the formal dining room, which offers plenty of space for festive dinner parties and celebrations. 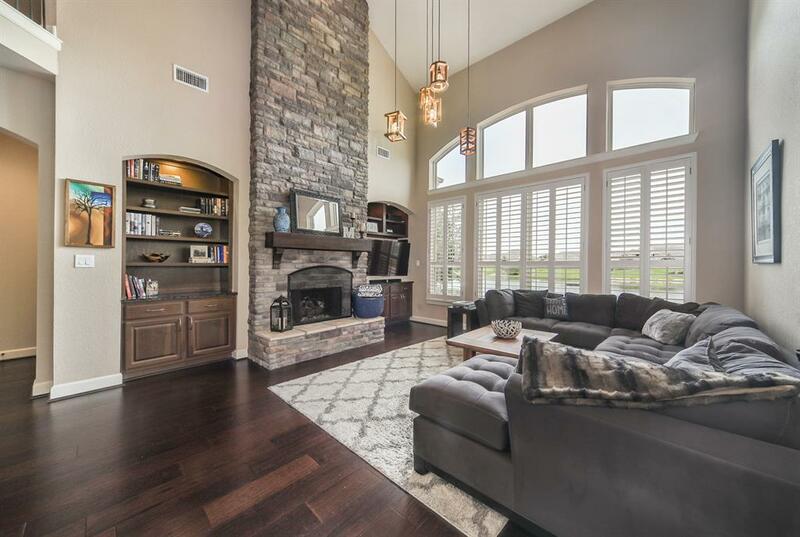 The lofty ceilings in the living room make the home feel spacious yet inviting, while the floor to ceiling gas log fireplace serves as an eye-catching focal point. 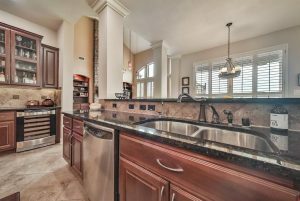 Indulge in delicious, gourmet cuisines in the island kitchen featuring granite countertops, a double oven, wine fridge, built-in buffet area for entertaining, and reverse osmosis system. 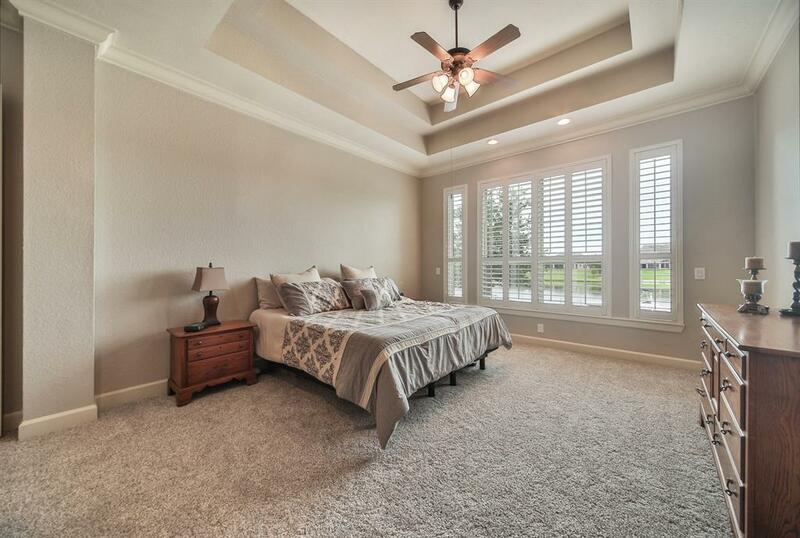 The spa-like master suite is a must-see with a walk-in closet, separate vanities, garden tub, and spacious walk-in shower. 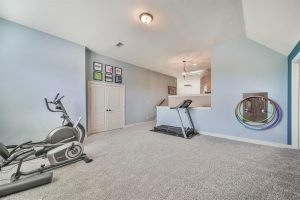 The options are limitless in the versatile game room, which can be used for a workout room or children’s play area. 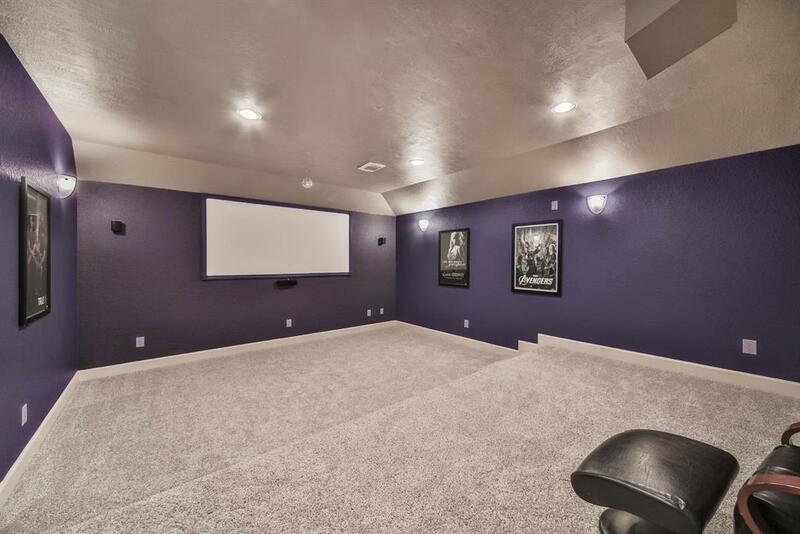 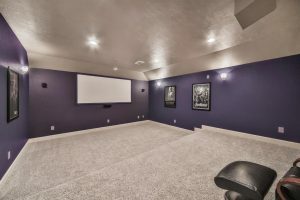 Watch your favorite classics from the comfort of your very own home theater, complete with tiered seating. 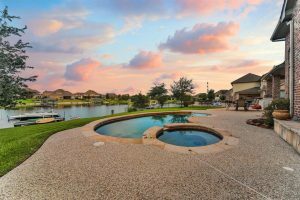 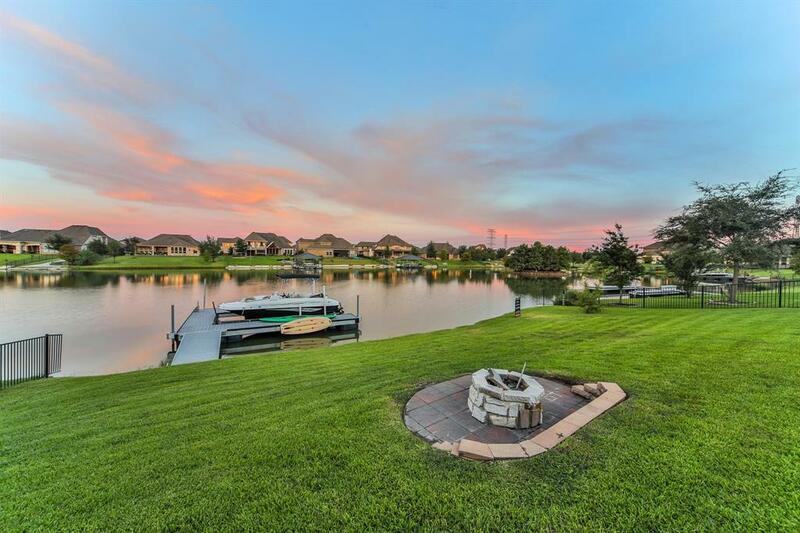 The generously sized backyard has wonderful afternoon shade year-round, and includes a covered patio, outdoor kitchen, pool, spa, and breathtaking view of the lake, which is suitable for wakeboarding and other water sports.